Brain Power: From Neurons to Networks is a 10-minute film and accompanying book (info below) from award-winning filmmaker Tiffany Shlain and her team at the Let it Ripple Cloud Filmmaking Studio. Based on new research on how to best nurture children’s brains from Harvard University’s Center on the Developing Child and University of Washington’s I-LABS, the film explores the parallels between a child’s brain development and the development of the global brain of Internet, offering insights into the best ways to shape both. Made through a new crowd-sourcing creativity process the Moxie team calls “Cloud Filmmaking,” Brain Power was created by putting into action the very ideas that the film is exploring: the connections between neurons, networks, and people around the world. The film premiered at the California Academy of Sciences on November 8, 2012 and is available to screen for free at any time. 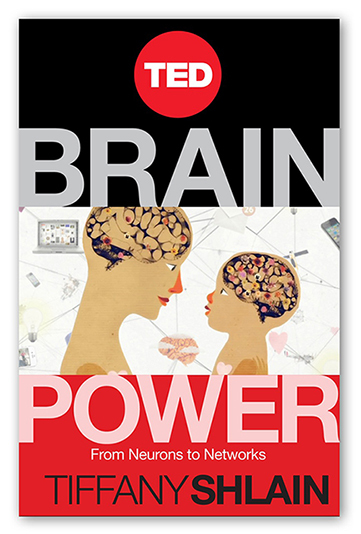 Brain Power: From Neurons to Networks explores the parallels between the development of a child’s brain and the development of the global “brain” of the Internet. While a lot of people are asking what all this technology is doing to our brains, the new questions this book asks are: What can new research into the ways a brain develops in the first five years teach us about the way we are developing the global “brain” of the Internet, as it’s also in the metaphoric early years of development? And what can we do, every day, to be mindful of the way we are developing both?The book was created in conjunction with the 10-minute film by Shlain, also titled Brain Power, which uses an innovative, participatory filmmaking process that Shlain and her team pioneered call “Cloud Filmmaking.” The book expands on the ideas in the film by following the lines of the script and sharing deeper research, videos, graphics, and links that explore this cutting-edge neuroscience research, propose ideas of mindful use of technology, and compare the two to help us make each stronger. This release marks the first time a film and TED Book were released simultaneously.